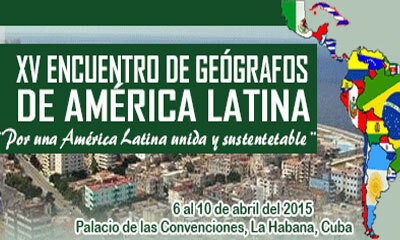 HAVANA, Cuba, Apr 2 (acn) More than 1,500 academicians and researchers will meet in Havana for the 15th Meeting of Geographers of Latin America, to be held on April 6-9 at the capital’s Convention Center. Nancy Perez, Dean of the Faculty of Geographers of the University of Havana, the institution sponsoring the Meeting, told the press that in spite of it being convened regionally, the meeting will have speakers from Europe, North America and Africa. The fact that this discipline is the center of attention of the meeting doesn’t mean that other specialists don’t attend the forum, she pointed out. It’s a Science of the Earth and therefore other themes are included, and specialists in tourism, heritage, local development, gender equity and computing will also participate. Organizers highlighted that working sessions will include 16 keynote lectures, among them those by Myrta Kaulard, coordinator of the United Nations Development Program (UNDP), and Theodor Friedrich, representative to Cuba of the United Nations Food and Agriculture Organization (FAO).